Excuse the mess behind me. It was a longgg weekend with absolutely NO cleaning accomplished! This week started off on the right foot. The weather is cooperating perfectly- well at least for the moment! 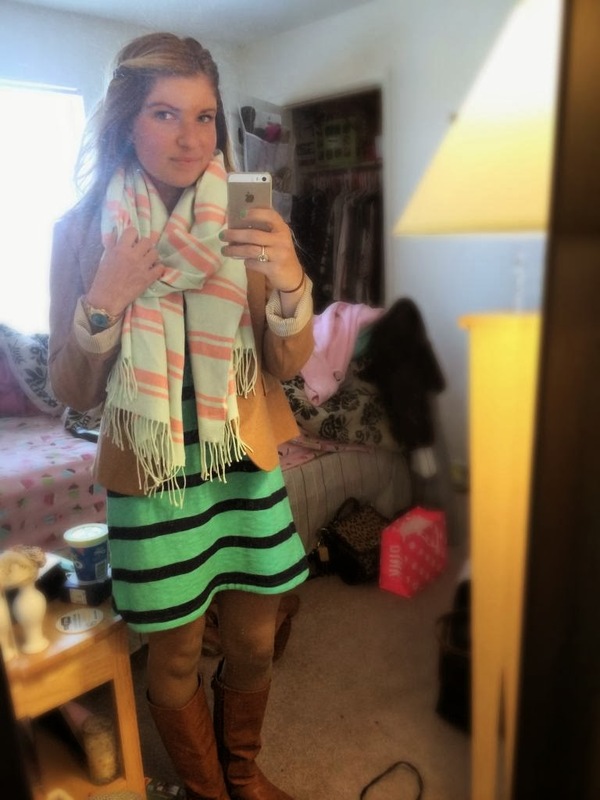 High's of 65 degrees during the day means hang up the winter coat and bust out your dresses! After work on Monday, I had a meeting so decided to put on a weekend purchase of this green long sleeve striped dress. The stripes are navy so I couldn't wear a black tight underneath, so instead I wore a neutral with a slight chevron pattern. Paired with tan riding boots and statement necklace it was the perfect pair of laid back while still in office attire. It was a little chilly at night to NOT wear a coat (I thought I would never say that again) so I put on a camel blazer and springy mint and coral wool scarf. 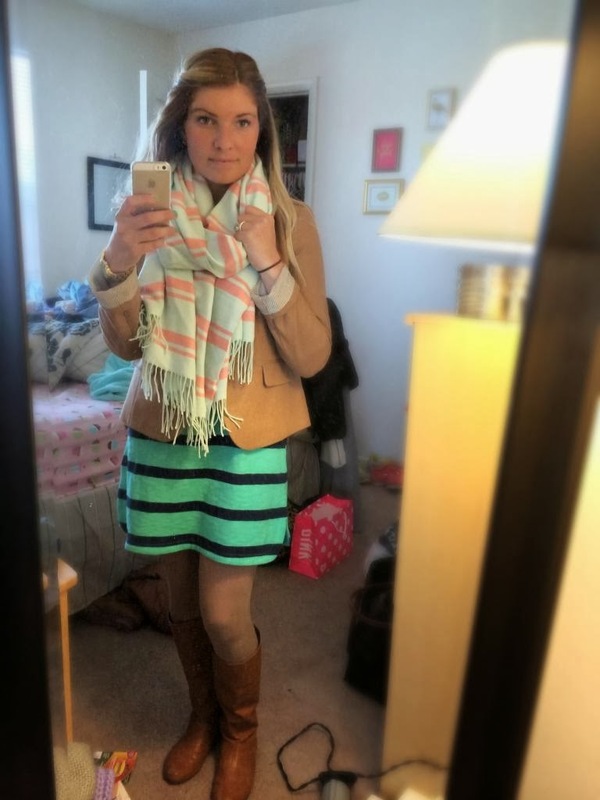 This was the first of many transition outfits. If you haven't already.. check out more options here. 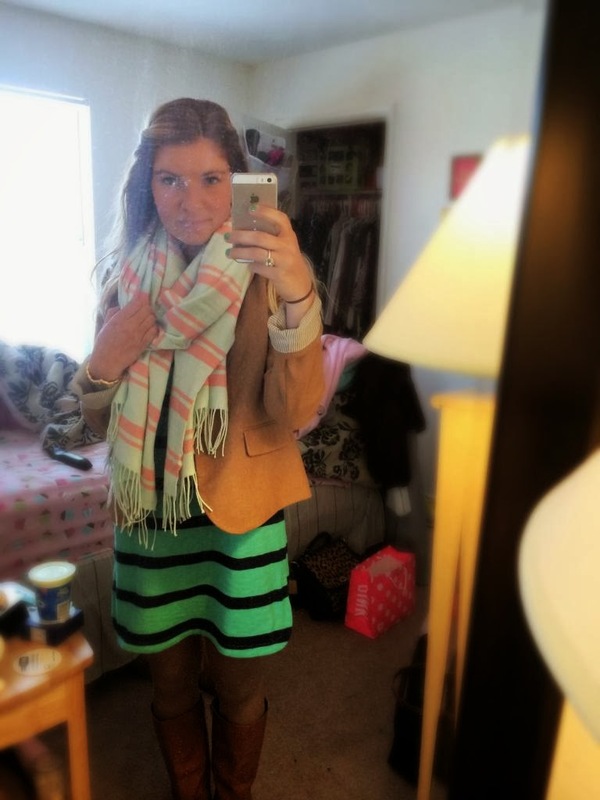 If you are in the Northeast and in the warm up what outfits are you transitioning?